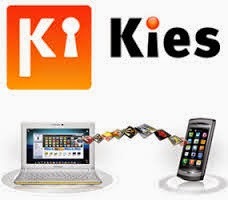 Samsung Kies 3 and Samsung Kies is a free tool, which supports you to connect your device to the PC and transfer files, contacts, videos and other files. Samsung Kies is also known as PC Suite. Everyone are not knowing the name of Kies. The peoples are searching Kies on the Google with the name of Samsung PC Suite free download. You should know that, before the installation of a Kies on your PC windows. You will not be able to connect your Samsung mobiles easily to the computer. Your Samsung phone first need to install the Kies or Kies 3 on your PC windows. You are not a first person who need to download the Kies. All peoples who are the user of Samsung mobile phones have must to download and install the Kies on their windows. Then they will be able to connect their device easily and quickly. If you want to save your urgent and other personal files and you need to restore your Samsung device. Then transfer your files and folders to the PC with this great tool Samsung Kies. Samsung corporation releases this tool to save your personal data on your PC. Otherwise, when you try to save your personal data before restore your Samsung device. Sometimes, your other tools don’t work to transfer your files to the PC and you will lose your personal data after restore your phone. This is amazing and best supporter tool to save and keep your personal data on your PC and after restoring your Samsung device, you use this personal data again in your phone without problems. Samsung Kies is in two versions, Samsung Kies is supported in before the launching of models Galaxy Note 3 including Galaxy S4 and Note 2 extra. The second one is Samsung Kies 3, This tool supports in Smartphone/Tablets from Galaxy Note 3(Android Version 4.3 or above). If you want to download Samsung Kies and Samsung Kies 3, Then click below provided links to download for free.